Parkour is an exciting and extreme sport that has taken the world by storm. High jumps, intense flips and quick reflexes are the norm in this world. The clothing you wear is also important. You need something to protect you a bit from scratches and falls, but it also has to be light and allow for a lot of movement. 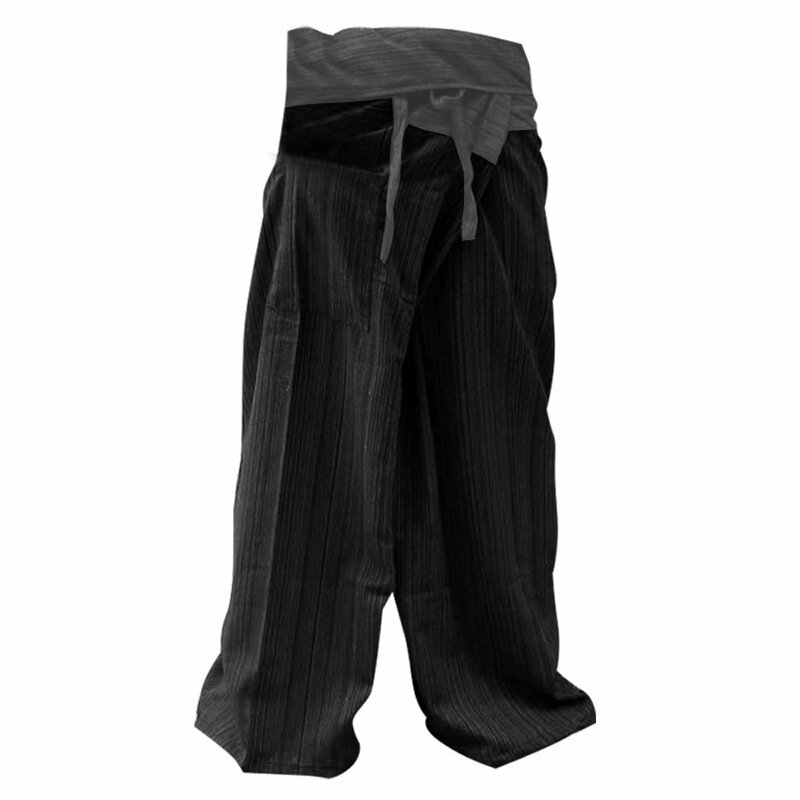 We’ve listed our top 5 best pairs of parkour pants. Pants that are incredibly well made, lightweight, and gives you all the room you need to flip, twist and jump across your city. The Thai Fisherman pants are made for yoga. Which means they stretch and allow you to have a full range of motion and movement. There’s nothing tight about these pants, and thats ideal. They are made from 100% cotton, making them light and very comfortable. They are also very versatile and can be worn in many different situations. These pants fit almost any size, male or female, and the waist belt is very easy to tie and adjust to fit your needs. 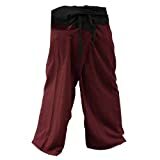 They are 100% authentic and come directly from Thailand, meaning they are of the quality the Thai’s have perfected when it comes to these kinds of pants. These fisherman pants made by Mr Bangkok are specially designed to be exactly like the ones the people in the hill tribes of Thailand wear. They are incredibly authentic and only the best cotton is used. They are very lightweight and have a wrap around belt that allows you to adjust the waist to your size and preferences. They are ideal for yoga, dancing, martial arts, and of course, parkour. Versatility is definitely a plus when it comes to these pants. The authentic look and feel, and use of quality materials makes this pants well worth the money. We are sure they won’t be the lat pair you buy, once you wear them, you won’t want to change into anything else. These jogging pants are the ultimate in versatility. Being quite stylish and short, they are perfect for a day of parkour, or being at the gym, or just a casual day out. They are made of very high quality polyester and rayon, and are made to last, no matter what you put them through. The elastic waist band is adjustable and very comfortable. They may not be as airy as fisherman pants, but they offer just as much movement and motion and won’t hinder you while you are active. You can still easily run, jump and climb in these just as you would in regular fisherman pants. These are definitely for someone who is looking for something a bit more stylish. These joggers from SoEnvy are not only incredibly stylish, but are also functional and versatile. Use them on the basketball court, the gym, for parkour, and even just a casual day out. With multiple color options, you can definitely find a pair that suits your style. These pants are made from cotton, polyester and spandex. They are incredibly comfortable but are also able to stretch and mould to your needs. They fit snuggly but stretch easily when needed. This feature makes them perfect for the street, but also when you are doing your day to day activities. Style, versatility and durability are the name of the game when it comes to this pants. Much more stylish than fisherman pants but with the same functionality and same quality. Our last pair is another very stylish, yet very versatile pair of joggers. 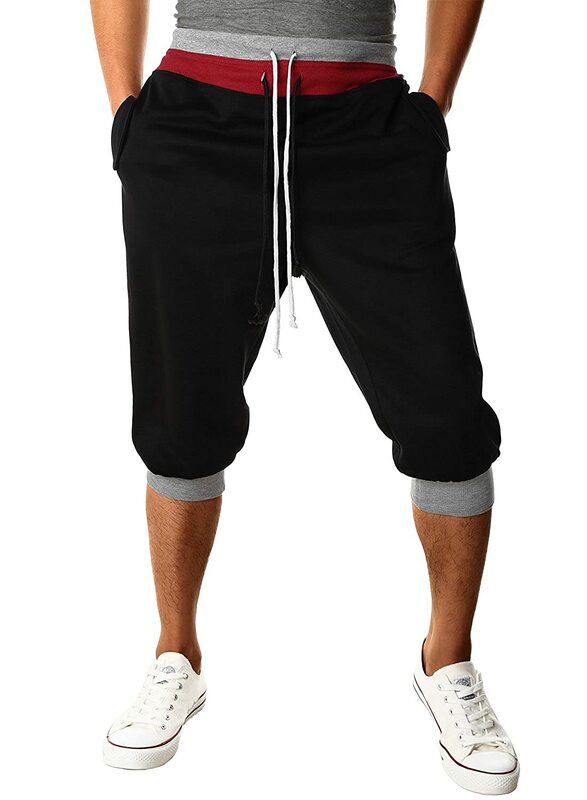 The L’asher mens joggers come in multiple colors, perfect for anybody’s taste. The cotton blend material is also incredibly soft and comfortable. The very comfortable flex waistband is a dream, and the general feel of the pants represents exceptional quality. They are come with two side pockets for you to carry your essentials or whatever else you may need. 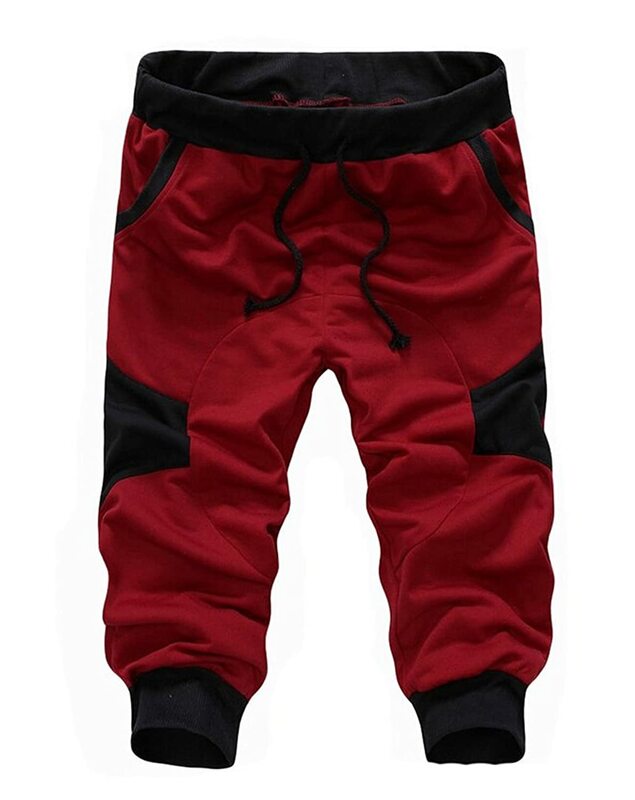 Once again, these very stylish and versatile pants are great for basketball, yoga, martial arts, parkour, and whatever other activity you may want to partake in. In the age of the internet, extreme sports has managed to gain more popularity than ever before with more videos circulating on different websites and YouTube. This is why extreme sports has managed to gradually make its mark in the world of fashion as various stylists and fashion designers have decided to work on designs that speak volumes about the daring attitude and the never dying spirit of extreme sports personalities that risk their lives for their passion for sports. However, with the invasion of fashion into the world of extreme sports, people from all walks of life now want to wear sporty clothes – be it for gym or even casual evenings out with friends. Similarly, extreme sports personalities are also becoming concerned about what they wear to ensure that they get the right level of comfort and style while they’re being filmed by their fellow sports buddies. Here we take a quick look at top 4 reasons why more and more extreme sports people prefer sweat jeans. Extreme sports is all about pushing your body to its limits and therefore people who try these stunts prefer to wear something comfortable. Sweat jeans are extremely comfortable and they make users feel at home even when they’re outside. From parkour performers to rock climbing experts, sweat jeans offer people superior comfort with its lightweight and 100% cotton fleece fabric. The softer breathable fabric also ensures that you’re able to perform your moves in the right way. These jeans come with expandable waist that offers more flexibility and freedom of movement. Apart from that, the fabric used for making sweat jeans is more stretchable allowing sports people to make their moves without any discomfort. Many actions while performing parkour, skateboarding and rock climbing might need your body to stretch out which is hard to do when you are wearing regular denim jeans. With more stretch ability and durability, sweat jeans have become popular among those who perform extreme sports. Extreme sports experts are equally aware of how they should look when people capture their moves on to a video. This is probably why style has become so important for parkour tracers and rock climbers that they prefer sweat jeans over anything else. While sweat jeans make you feel like sweat pants, they look like jeans as they also have fifth pocket just like in regular denim jeans. Sweat jeans look like jeans and therefore they can be worn anywhere you go. You can match it with your favorite tee, or shoe color or your helmet and add style to your personality. Extreme sports gear can be expensive, but now you don’t need to spend more on looking great. Sweat jeans look like jeans but they are available at a lower rate compared to denim jeans. 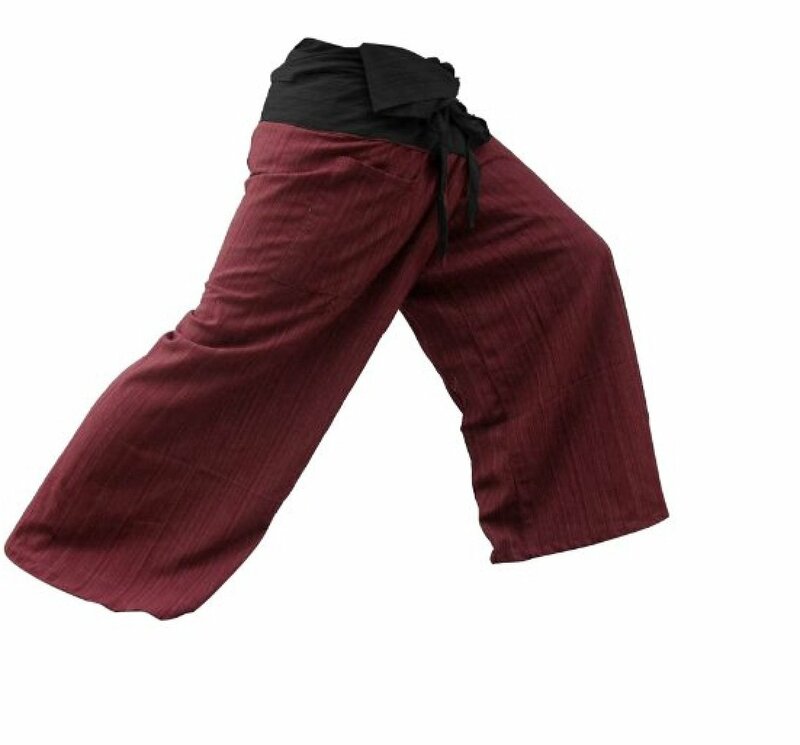 To finish off, parkour pants are incredibly simple pieces of equipment. 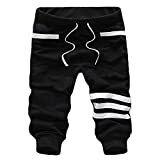 The things you should look for re quality materials, craftsmanship, and that they are lightweight and allow you to move, run, and jump freely. Parkour in jeans may sound like an alright idea, but it’s almost pointless. Especially if you are a beginner, you’ll want to have as much movement as possible, not only does this help you learn much quicker, but in a way it’s safer. Hope this article has helped you make an informed decision about your next purchase. Whether you’re just starting out and looking for your first pair of pants, or a seasoned pro needed a new pair, we are sure you can find exactly what you’re looking for from our list.